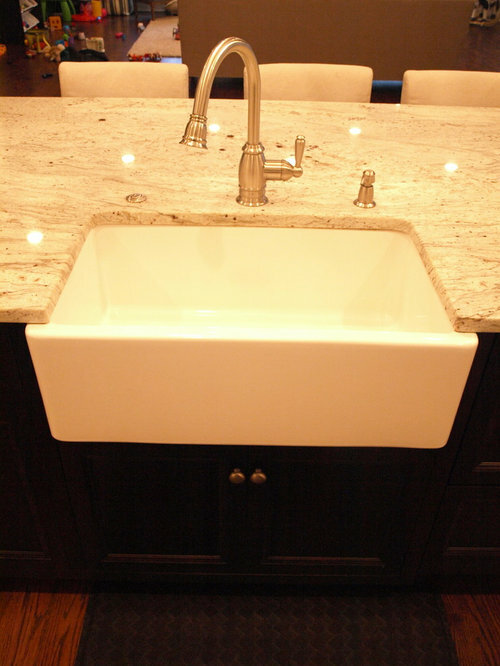 Beautiful and classic white flush inset and espresso island with extra storage. 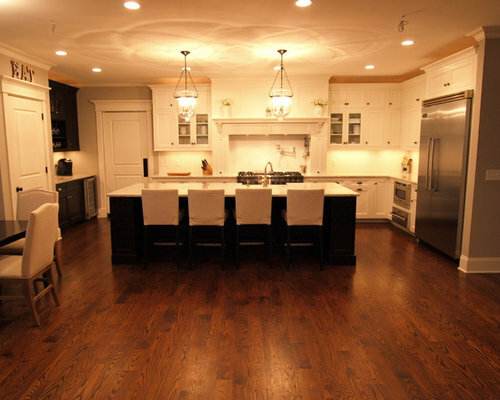 Plenty of island seating and counter space in this kitchen. 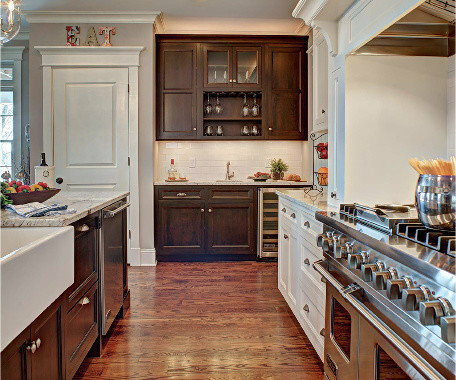 The island even has shelves on the end for keeping cook books or decorative items. 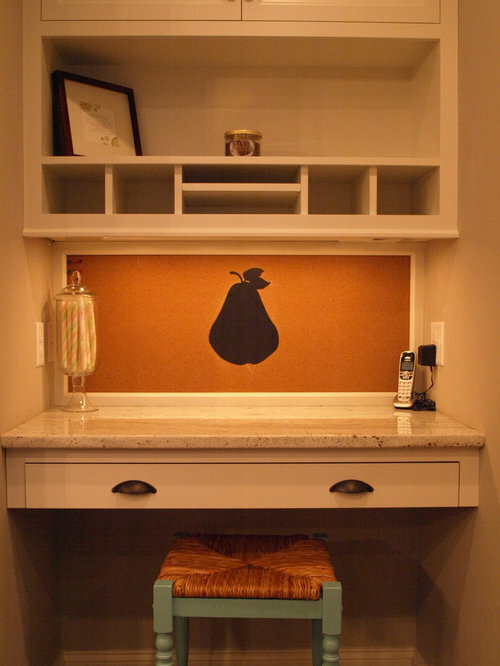 The built-in desk is perfect for filing paperwork and mail or paying bills. 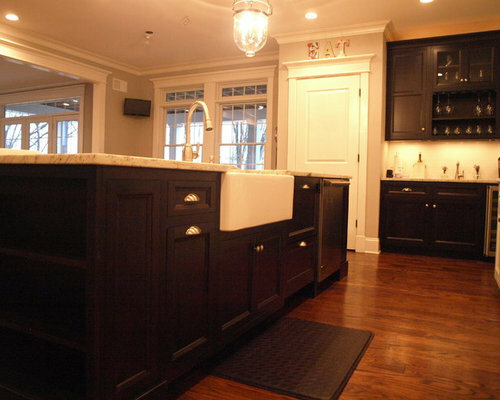 And the wet bar is a great entertaining space. 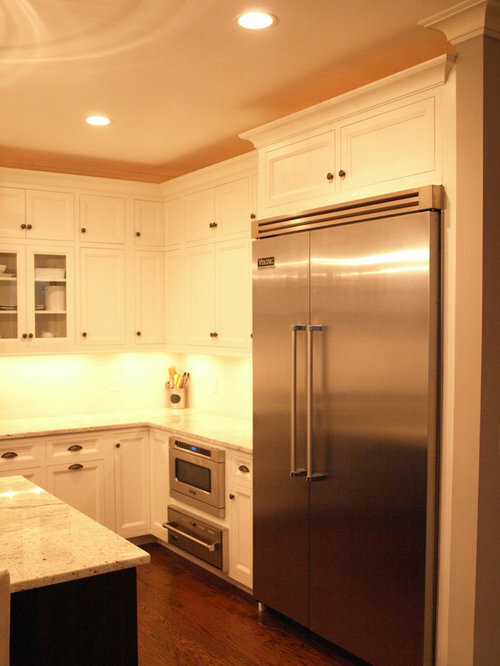 Color makes a statement in white kitchens! 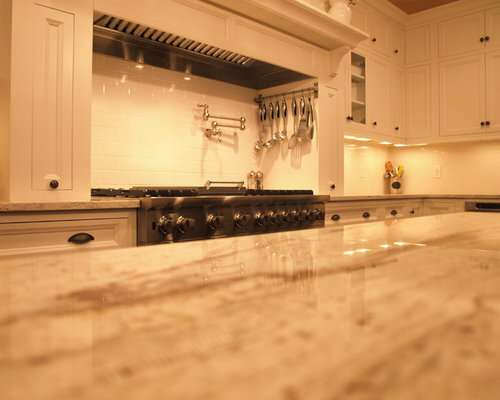 This kitchen is classic white with a wooden island and a large rectangular hood and stove as the focal point. 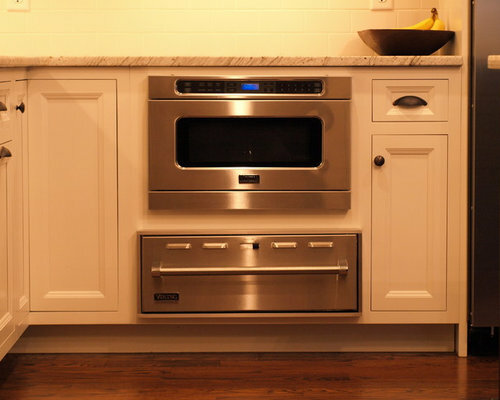 White Subway tile backsplash and ample cabinet storage. 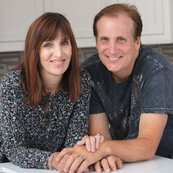 Color makes a statement in white kitchens! 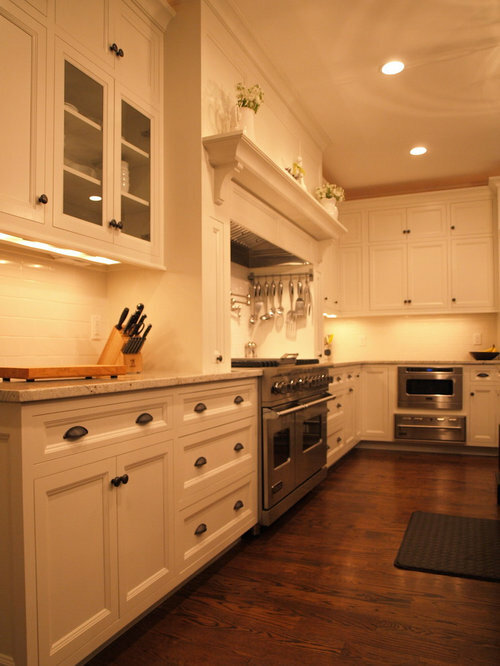 This kitchen is classic white with a wooden island and a large rectangular hood and stove as the focal point. 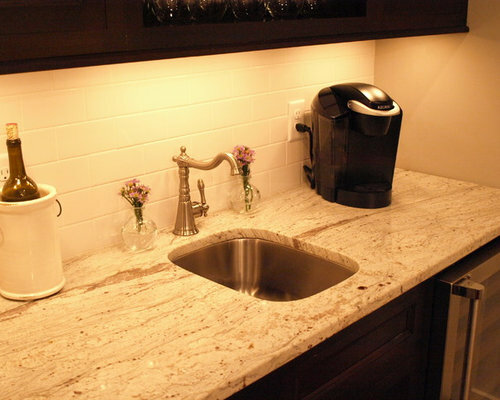 White Subway tile backsplash and ample cabinet storage. 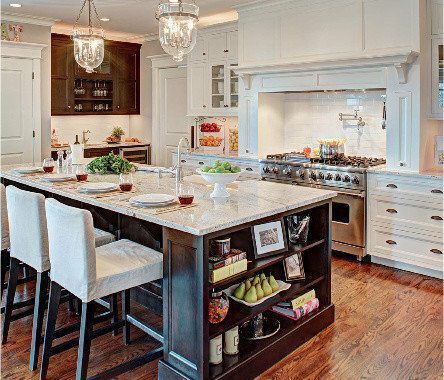 The built-in island shelving is great to put personal items or cookbooks on dispaly. 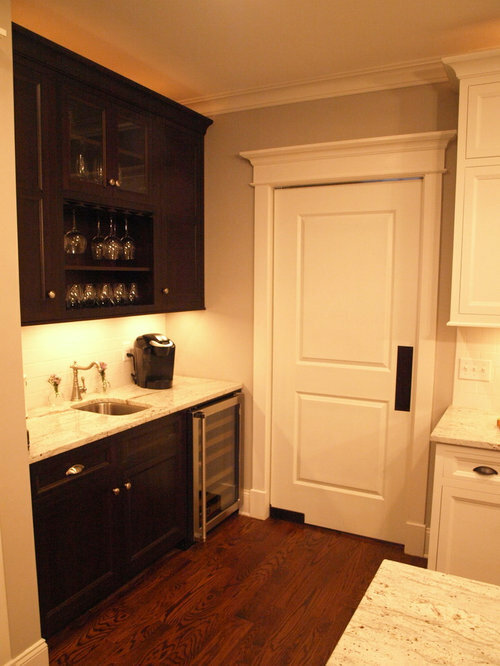 This kitchen comes complete with its own wet bar, wine refrigerator to keep drinks cold, wine glass holders for organization and glass cabinet displays. 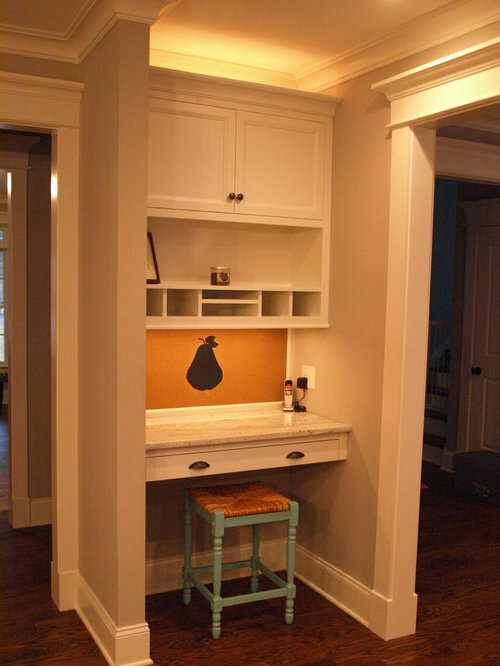 Built-in desks are very popular in kitchens. 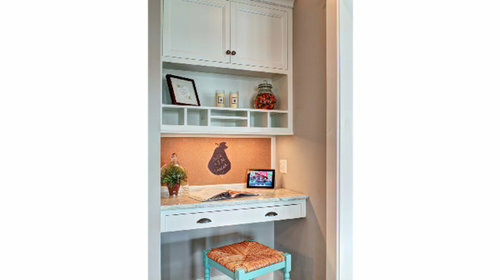 This gives you a place to be organized and complete your work or to-dos while being in the heart of your home. 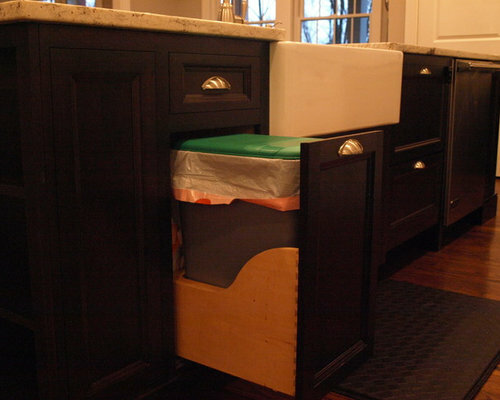 Cabinetry and shelf displays allows for storage and placing personal items.